Pacific bumper has an Eastern Pacific distribution from southern USA to Peru, but no studies of its stock structure could be located. As no stock assessment is conducted, a management unit is considered in Panama. The main species captured in the small pelagic fishery in Panama are Pacific thread herring, Pacific anchoveta and Pacific bumper. A Fishery Improvement Project is underway. Protected areas are in place including ‘fisheries areas’. Inspections are conducted to ensure no shrimp is caught during the closures of this fishery. Onboard scientific observers are now available during the whole fishing year. A fisheries monitoring program for small pelagics started in May 2013. No stock assessment is conducted and no reference points are in place. The status of the stock is not known. Specific management measures are not known to exist. A minimum landing size is not defined for this species as it is for other small pelagics. Impacts on bycatch, protected, endangered and threatened (PET) species and benthic ecosystems are not known but interactions with sharks and seabirds are known to occur. Engage and support the existing Fishery Improvement Project (FIP) to address the lack of publicly available information on this fishery. No assessment of the stock is conducted. Catch and effort data is collected and regular sampling is thought to be conducted in the processing plants. The size structure and reproductive state of Pacific anchovetaCetengraulis mysticetusand Pacific thread herring Opisthonema libertate are then used to declare the opening or closure off the fishing season for small pelagic species (CeDePesca, 2010a). Scientific advice is limited to recommending the opening and closure of the fishing season, based on the size and reproductive state of the most common small pelagic catch species – Pacific anchoveta and Pacific thread herring, and usually at the request of the only fishmeal and fish oil processing plant (CeDePesca, 2010a). No reference points are in place for the stock. The Panamanian small pelagics appear to be, at the least, fully exploited considering the recent stable landing and effort levels (CeDePesca, 2010a). Abundance is highly correlated with environmental factors, particularly upwelling and rainy seasons. No indices of stock abundance or biomass are available. Catches have increased from around 500 tons in 2004 to 5,800 tons in 2008 but have since decreased again to just under 500 tons in 2010 and just under 1,000 tons in 2011 (Contraloría General de la República de Panamá, 2005; 2009; 2012). A license is required and several technical measures regulate the Panamanian fishery for Pacific anchoveta and Pacificthread herring, the main small pelagic species (República de Panamá, 1977; 1979) but no Total Allowable Catches (TAC) are set and no formal management plan is yet in force. No official fishing season is defined but managers and industry operate an approximate April-October season, based on surveyed mean minimum size and gonadal state of Pacific anchoveta and Pacific thread herring. A minimum landing size is not defined for this species as it is for other small pelagics. A fisheries monitoring program for small pelagics resources started in May 2013 (ARAP, 2013). Industrial vessels must be equipped with Vessel Monitoring System (VMS) and inspections are conducted during the prawn closures to ensure no bycatch is occurring. No issues related to compliance with regulations are known. Onboard scientific observers are now available during the whole fishing year (CeDePesca, 2013). Several Protected, Endangered and Threatened (PET) species inhabit or migrate through Panamanian waters, like Olive Ridley turtle Lepidochelys olivacea (Vulnerable; Abreu-Grobois and Plotkin, 2008), Green turtle Chelonia mydas (Endangered; Seminoff, 2004), Loggerhead turtle Caretta caretta (Endangered; MTSG, 1996) and Leatherback turtle Dermochelys coriacea (Vulnerable; Wallace et al, 2013), Hawksbill Turtle Eretmochelys imbricata (Critically Endangered; Mortimer and Donnelly, 2008), Sperm Whale Physeter macrocephalus (Vulnerable; Taylor et al, 2008), Whale Shark Rhincodon typus (Vulnerable; Norman, 2005); Rough-toothed Dolphin Steno bredanensis, Striped Dolphin Stenella coeruleoalba, Common Bottlenose Dolphin Tursiops truncatus, Pantropical Spotted Dolphin Stenella attenuata(all Least concern; Hammond et al, 2012). Corals like Porites lobata (Near threatened; Sheppard et al, 2008), Pocillopora eydouxi and P. elegans (both Near threatened; Hoeksema et al, 2008), and Psammocora stellate (Vulnerable; Cortés et al, 2008); Cauliflower Coral Pocillopora damicornis (Least concern; Hoeksema et al, 2008), Porites panamensis (Least concern; Guzmán and Cortés, 2008), Pavona gigantea (Least concern; Héctor et al, 2008); Pavona clavus, Pavona varians and Gardineroseris planulata (Least concern; Hoeksema et al, 2008) (Pinto and Yee, 2011). Interactions with sharks and smooth-hounds Mustelus spp. occurs. Rays, turtles and dolphins are also caught and released. There are also reported interactions with Brown pelicans Pelecanus occidentalis and Neotropic cormorants Phalacrocorax brasilianus (both Least concern; BirdLife International 2012) although no systematic data are available on potential negative direct or indirect impacts on seabird abundance or other elements of the trophic chain (CeDePesca, 2010a). 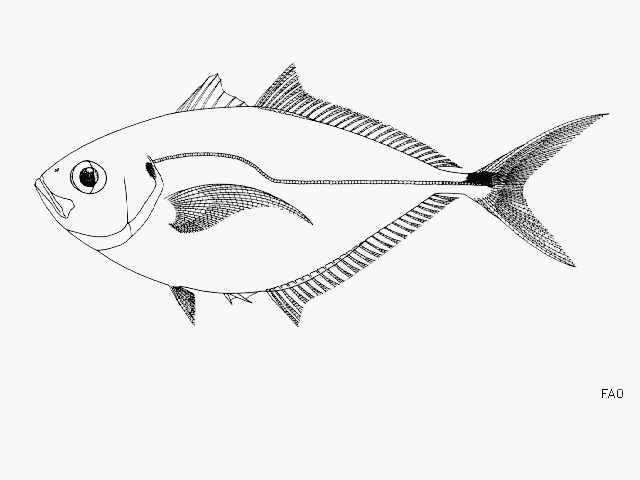 Pacific anchoveta and Pacific thread herring are also part of the small pelagics fishery. There is retained bycatch of shrimp by the fishery, particularly when fishing near the coast, but this is forbidden during the several closures enforced during the year. Demersal fish, particularly juveniles, are also caught including weakfish, snappers, snooks, sierras, jacks, bobos as well as lobsters (CeDePesca, 2010a). The fishery is often conducted close to the coast where the gear contacts the seafloor – generally over sandy-muddy sediment adjacent to mangroves (CeDePasca, 2010a). The impacts on the seafloor and benthic communities have not been studied. In Panama, different levels of protection are defined by law, including ‘fisheries areas’ that are established to promote sustainable exploitation of fishing resources in a certain area, to define nursery or spawning areas and for the protection of some species (Wood, 2007; Pinto and Yee, 2011). Industrial seining is forbidden within the Las Perlas archipelago special management zone (República de Panamá, 2007) and, to protect shrimp fisheries, in a part of the Gulf of San Miguel, among other areas. Four other zones of the Gulf of Panama are closed to larger vessels to protect nursery areas near mangroves. It is unclear if these closures are observed by fishers (CeDePesca, 2010a). Different components of this unascertained score differently at the fishery level. Please look at the individual fisheries using the selection drop down above. No scores can be quantitatively calculated as no stock assessment is conducted, no reference points are defined and no catch limits are set. In the small pelagics stock assessment conducted by CeDePesca (2015) the Pacific bumper was analysed as a by-catch,representing, in average, less than 5% of the total catch. A Productivity – Susceptibility Analysis, presented in the assessment, Pacific bumper faces low risk of being negatively affected by the fishery. A partial score has been determined for score #1, based on available information. Score #3 cannot be determined as no TAC is set and there is no information on compliance with regulations. Scores #4 and #5 cannot be determined as no assessment of stock biomass or abundance is conducted and no estimates of fishing pressure are available. Last available data on landings are from 2009-2013 (Contraloría de le República de Panamá, 2013). A Memorandum of Understanding (MoU) was signed between ARAP, Promarina, Probasa, Taboguilla, AnimalFeed and CeDePesca. Promarina and CeDePesca have welcomed Procesadora Bayano to the FIP. A MoU has been signed between CeDePesca and Promarina S.A.
On November 15th, the Fishing Season 2018 closes, according to Resolution DGOMI No. 048 of November 8, 2018, Official Gazette No. 28653. In March a hydroacoustic prospecting of small pelagic species was carried out in the Gulf of Panama conducted by FIP partners. The catch and effort database, the size structure database and the database on bycatch of sharks and turtles were updated. Hydroacustic survey conducted and report written. Updated draft of the proposed Management Plan for the Panamanian Small Pelagics Fishery was delivered formally to ARAP. First national workshop on fisheries research identified key research needs. This is a first step in the eventual development of a research plan for this fishery. Bycatch report from observer program prepared and presented to Promarina. Second stock assessment made public. Catch and effort database updated. Observers continued work aboard vessels. The Government of Panama issues Decree N° 107 on March 29th, effectively updating measures that were first set in 1977. This is a huge step forward for the fishery’s sustainability and is considered an important milestone for the FIP. Onboard Observer Program is successfully collecting data. Data has been completed and reviewed.